Are you a mom like me, who always, always have the family's needs come first? Or a generally stressed out person who aims to finish every job with perfection? An under-rated baker, perhaps, who gets the J-O-B done, prioritizing the happiness each baked products would give to the recipient? I'm practically an example of all the above mentioned. But then, come to think of it, were is the joy in that, when it will end with tired, old-looking hands, chipped nails and cuticles coming out in every fingernails. 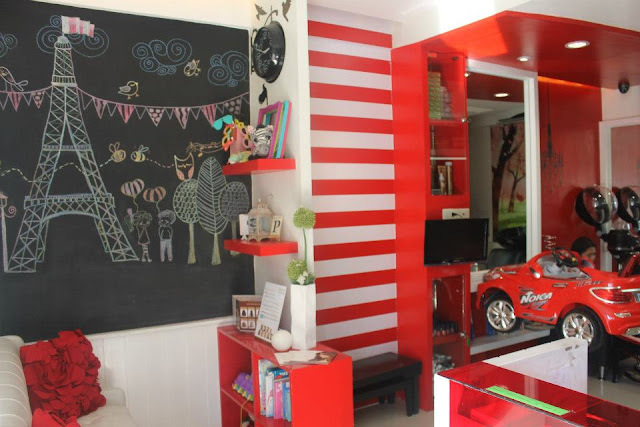 The name, Peppermint Salon, caught my attention one time as I was on my way to one salon near EDSA, knowing that it was new, with the building just built as well, I didn't quite mind it. I hate waiting, and having to waste even 15 minutes of my time just for my turn with the manicurist. So I decided to visit Peppermint and check it out first. To my surprise, the place was so posh. As the glass door opened, a slight tinged of soothe already welcomed me, with an aroma to match the lux spas and salon in the upscale side of the town. The welcome staff greeted me with a smile and attended to my need and questions right away and she had me seated on a nook that every guest would definitely love. At that time, I have with me heavy bags of fruits, which she took and found a place for it. Well, here I didn't mind them taking time to prepare the things for my service, there are a lot to see in every nook and cranny of the semi-narrow place. And here are the things that I have observed which really caught my fancy. 1. Yey! They have nail art. 2. They welcome kids. 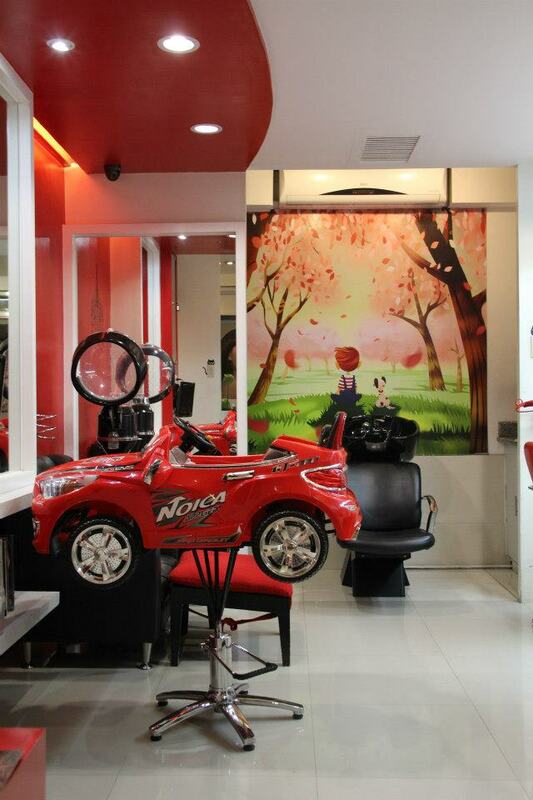 They even have services for children like haircuts, nail arts and lice removal. 3. The place is new so everything might be new and clean. 4. An artsy blackboard will give you a hint that they are different and above the norm of beautification only. 5. 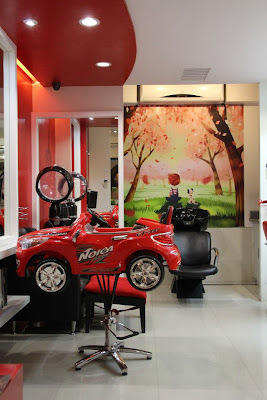 The place was so cute, they even have a special kiddie section where kids are groomed on a toy car while a cartoon video of their choice will be played on the LCD screen. 6. Next to it is the the nail grooming section, where you can have your pampering while looking after your child being tidied-up. There are more to be shared here, but have to end here for this moment. But let me end with these, far more that what you can expect on their foray of services and of course with the venue itself, I love that an hour of stay here was so rejuvenating. From having my nails cleaned to colored, glammed-up and my hands and feet made younger-looking, I'm am more ready to face more challenges, even more stress, for now I have a friend who will take care of that. The picture above is a sample of their nail-art, which is stamped, which gives that flawless uniformity in every tips as compared to the manual painting, not only cumbersome to the artist but takes a lot of time to do. It's what I had last Halloween. Below is my simple, chic yet sophisticated look (in baby pink with soft glitters) for those ambitious client meetings. Mind you, this was taken after 3 days since I had it done at the Peppermint Salon. i know the feeling. my nails break easily, or snag as well as chip fast, sometimes right after doing it. it is frustrating. i finally do my nails, and the mess up soon after. speaking up doing my nails, i need to do mine again. We’re very glad that you liked us! Thank you for this review, Ms Joy! And very soon, we will launch a spa party at a price and packages that you wouldn't want to miss out! 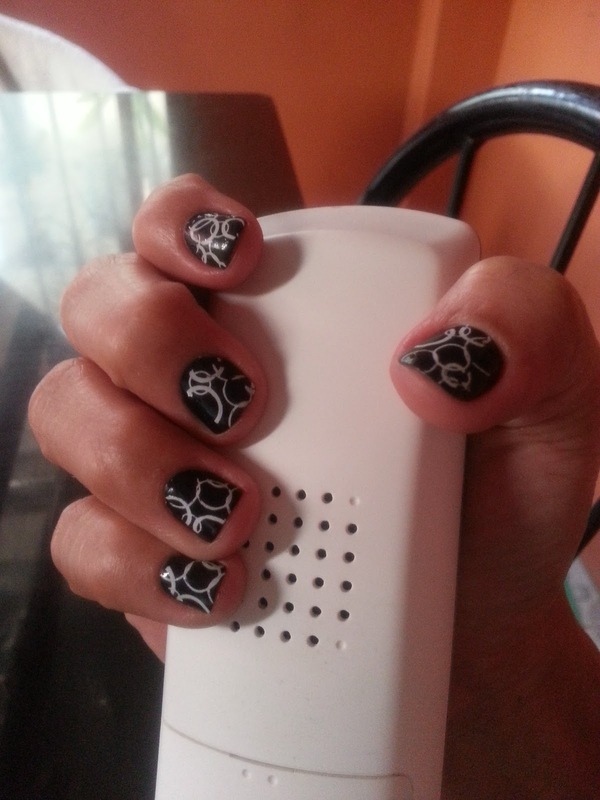 Talk about good job, you must be talking about Michelle Espina, our Nail Expert now my Salon Supervisor. One of my hardworking slash “know-it-all” staff when it comes to nails and massage, 13 years of experience and came from different well-known spas here in Manila. Thank you for this commendation!